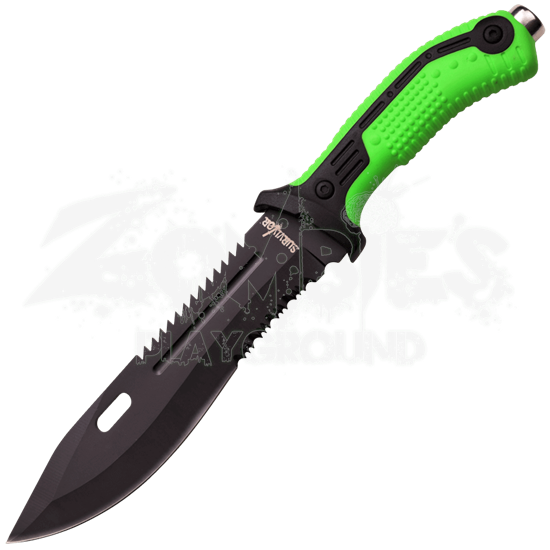 With the bright green coloration of its handle, this functional knife will certainly stand out from the rest! 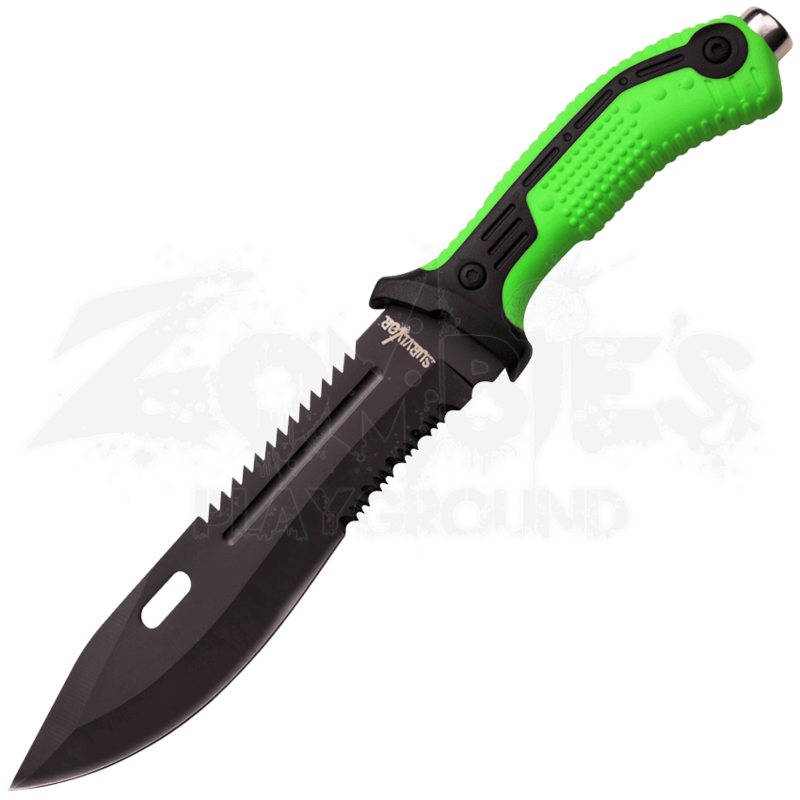 The Serrated Sawback Zombie Green Knife makes a great survival blade to keep close at hand for camping or emergencies. The utility knife features a partial serration on its belly and another section of teeth on its back. The stainless steel knife displays a black finish that looks good with the injection rubber and nylon fiber handle, which is textured to help you get a good grip. This serrated knife includes a black nylon sheath for carrying and storage.